"Sanaa" redirects here. For other uses, see Sanaa (disambiguation). Sanaʽa (Arabic: صَنْعَاء‎, Ṣanʿāʾ [sˤɑnʕaːʔ], Yemeni Arabic: [ˈsˤɑnʕɑ]), also spelled Sanaa or Sana, is the largest city in Yemen and the centre of Sanaʽa Governorate. The city is not part of the Governorate, but forms the separate administrative district of "Amanat Al-Asemah". Under the Yemeni constitution, Sanaʽa is the capital of the country, although the seat of the internationally recognised government moved to Aden in the aftermath of the September 21 Revolution. Aden was declared as the temporary capital by President Abdrabbuh Mansur Hadi in March 2015. Sanaʽa is one of the oldest continuously inhabited cities in the world. At an elevation of 2,300 metres (7,500 ft), it is also one of the highest capital cities in the world, and is next to the Sarawat Mountains of Jabal An-Nabi Shu'ayb and Jabal Tiyal, considered to be the highest mountains in the country and amongst the highest in the region. Sanaʽa has a population of approximately 3,937,500 (2012), making it Yemen's largest city. The Old City of Sanaʽa, a UNESCO World Heritage Site, has a distinctive architectural character, most notably expressed in its multi-storey buildings decorated with geometric patterns. In the conflict that raged in 2015, bombs hit UNESCO sites in the old city. Located here is the Al Saleh Mosque, the largest in the city. Sanaʽa is one of the oldest populated places in the world. According to popular legend, it was founded at the base of Jabal Nuqum by Shem, the son of Noah, after the latter's death. It was known as "Azal" in ancient times, which has been connected to Uzal, a son of Qahtan, a great-grandson of Shem, in the biblical accounts of Genesis. Its name is related to the Sabaic word for "well-fortified", a name that echoes the meaning of the Ethiopian name—recorded in a Syriac account as Auzalites—the city held in the 6th century. Qahtan is considered to be the ancestor of "true Arabs". The Arab historian al-Hamdani wrote that Sanaʽa was walled by the Sabaeans under their ruler Sha'r Awtar, who also arguably built the Ghumdan Palace in the city. Because of its location, Sanaʽa has served as an urban center for the surrounding tribes of the region, and as a nucleus of regional trade in southern Arabia. It was positioned at the crossroad of two major ancient trade routes linking Ma'rib in the east to the Red Sea in the west. When King Yousef Athar (or Dhu Nuwas), the last of the Himyarite kings, was in power, Sanaʽa was also the capital of the Ethiopian viceroys. From the era of Muhammad (ca. 622 CE) until the founding of independent sub-states in many parts of the Yemen Islamic Caliphate, Sanaʽa persisted as the governing seat. The Caliph's deputy ran the affairs of one of Yemen's three Makhalifs: Mikhlaf Sanaʽa, Mikhlaf al-Janad and Mikhlaf Hadhramaut. The city of Sanaʽa regularly regained an important status and all Yemenite States competed to control it. Imam Al-Shafi'i, the 8th-century Islamic jurist and founder of the Shafi'i school of jurisprudence, visited Sanaʽa several times. He praised the city, writing La budda min Ṣanʻāʼ, or "Sanaʽa must be seen." In the 9th–10th centuries, the Yemeni geographer al-Hamdani took note of the city's cleanliness, saying "The least dwelling there has a well or two, a garden and long cesspits separate from each other, empty of ordure, without smell or evil odors, because of the hard concrete (adobe and cob, probably) and fine pastureland and clean places to walk." Later in the 10th-century, the Persian geographer Ibn Rustah wrote of Sanaʽa "It is the city of Yemen — there cannot be found ... a city greater, more populous or more prosperous, of nobler origin or with more delicious food than it." In 1062 Sanaʽa was taken over by the Sulayhid dynasty led by Ali al-Sulayhi and his wife, the popular Queen Asma. He made the city capital of his relatively small kingdom, which also included the Haraz Mountains. The Sulayhids were aligned with the Ismaili Muslim-leaning Fatimid Caliphate of Egypt, rather than the Baghdad-based Abbasid Caliphate which most of Arabia followed. Al-Sulayhi ruled for about 20 years but he was assassinated by his principal local rivals, the Zabid-based Najahids. Following his death, al-Sulayhi's daughter, Arwa al-Sulayhi, inherited the throne. She withdrew from Sanaʽa, transferring the Sulayhid capital to Jibla, where she ruled much of Yemen from 1067 to 1138. As a result of the Sulayhid departure, the Hamdanid dynasty took control of Sanaʽa. In 1173 Saladin, the Ayyubid sultan of Egypt, sent his brother Turan-Shah on an expedition to conquer Yemen. The Ayyubids gained control of Sanaʽa in 1175 and united the various Yemeni tribal states, except for the northern mountains controlled by the Zaydi imams, into one entity. The Ayyubids switched the country's official religious allegiance to the Sunni Muslim Abbasids. During the reign of the Ayyubid emir Tughtekin ibn Ayyub, the city underwent significant improvements. These included the incorporation of the garden lands on the western bank of the Sa'ilah, known as Bustan al-Sultan, where the Ayyubids built one of their palaces. Despite Sanaʽa's strategic position, the Ayyubids chose Ta'izz as their capital while Aden was their principal income-producing city. While the Rasulids controlled most of Yemen, followed by their successors the Tahirids, Sanaʽa largely remained in the political orbit of the Zaydi imams from 1323 to 1454 and outside the former two dynasties' rule. The Mamelukes arrived in Yemen in 1517. The Ottoman Empire entered Yemen in 1538 when Suleiman the Magnificent was Sultan. Under the military leadership of Özdemir Pasha, the Ottomans conquered Sanaʽa in 1547. With Ottoman approval, European captains based in the Yemeni port towns of Aden and Mocha frequented Sanaʽa to maintain special privileges and capitulations for their trade. In 1602 the local Zaydi imams led by Imam al-Mu'ayyad reasserted their control over the area, and forced out Ottoman troops in 1629. Although the Ottomans fled during al-Mu'ayyad's reign, his predecessor al-Mansur al-Qasim had already vastly weakened the Ottoman army in Sanaʽa and Yemen. Consequently, European traders were stripped of their previous privileges. The Zaydi imams maintained their rule over Sanaʽa until the mid 19th-century, when the Ottomans relaunched their campaign to control the region. In 1835, Ottoman troops arrived on the Yemeni coast under the guise of Muhammad Ali of Egypt's troops. They did not capture Sanaʽa until 1872, when their troops led by Ahmed Muhtar Pasha entered the city. The Ottoman Empire instituted the Tanzimat reforms throughout the lands they governed. In Sanaʽa, city planning was initiated for the first time, new roads were built, and schools and hospitals were established. The reforms were rushed by the Ottomans in order to solidify their control of Sanaʽa to compete with an expanding Egypt, British influence in Aden and imperial Italian and French influence along the coast of Somalia, particularly in the towns of Djibouti and Berbera. The modernization reforms in Sanaʽa were still very limited, however. In 1904, as Ottoman influence was waning in Yemen, Imam Yahya of the Zaydi imams took power in Sanaʽa. 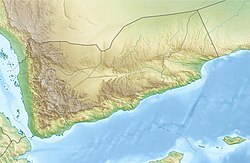 In a bid to secure North Yemen's independence, Yahya embarked on a policy of isolationism, avoiding international and Arab world politics, cracking down on embryonic liberal movements, not contributing to the development of infrastructure in Sanaʽa and elsewhere and closing down the Ottoman girls' school. As a consequence of Yahya's measures, Sanaʽa increasingly became a center of anti-government organization and intellectual revolt. In the 1930s, several organizations opposing or demanding reform of the Zaydi imamate sprung up in the city, particularly Fatat al-Fulayhi, a group of various Yemeni Muslim scholars based in Sanaʽa's Fulayhi Madrasa, and Hait al-Nidal ("Committee of the Struggle.") By 1936 most of the leaders of these movements were imprisoned. In 1941 another group based in the city, the Shabab al-Amr bil-Maruf wal-Nahian al-Munkar, called for a nahda ("renaissance") in the country as well as the establishment of a parliament with Islam being the instrument of Yemeni revival. Yahya largely repressed the Shabab and most of its leaders were executed following his son, Imam Ahmad's inheritance of power in 1948. That year, Sanaʽa was replaced with Ta'izz as capital following Ahmad's new residence there. Most government offices followed suit. A few years later, most of the city's Jewish population emigrated to Israel. Ahmad began a process of gradual economic and political liberalization, but by 1961 Sanaʽa was witnessing major demonstrations and riots demanding quicker reform and change. Pro-republican officers in the North Yemeni military sympathetic of Gamal Abdel Nasser of Egypt's government and pan-Arabist policies staged a coup overthrowing the Imamate government in September 1962, a week after Ahmad's death. Sanaʽa's role as capital was restored afterward. Neighboring Saudi Arabia opposed this development and actively supported North Yemen's rural tribes, pitting large parts of the country against the urban and largely pro-republican inhabitants of Sanaʽa. The North Yemen Civil War resulted in the destruction of some parts of the city's ancient heritage and continued until 1968 when a deal between the republicans and the royalists was reached, establishing a presidential system. Instability in Sanaʽa continued due to continuing coups and political assassinations until the situation in the country stabilized in the late 1970s. British writer Jonathan Raban visited in the 1970s and described the city as fortress-like, its architecture and layout resembling a labyrinth", further noting "It was like stepping out into the middle of a vast pop-up picturebook. Away from the street, the whole city turned into a maze of another kind, a dense, jumbled alphabet of signs and symbols." Following the unification of Yemen, Sanaʽa was designated capital of the new Republic of Yemen. It houses the presidential palace, the parliament, the supreme court and the country's government ministries. The largest source of employment is provided by the governmental civil service. Due to massive rural immigration, Sanaʽa has grown far outside its Old City, but this has placed a huge strain on the city's underdeveloped infrastructure and municipal services, particularly water. Sanaʽa was chosen as the 2004 Arab Cultural Capital by the Arab League. In 2008, the Al Saleh Mosque was completed. It holds over 40,000 worshipers. In 2011, Sanaʽa, as the Yemeni capital, was the center of the Yemeni Revolution in which President Ali Abdullah Saleh was ousted. Between May and November, the city was a battleground, in what became known as the 2011 Battle of Sanaʽa. On 21 May 2012, Sanaʽa was attacked by a suicide bomber, resulting in the deaths of 120 soldiers. On 23 January 2013, a drone strike near Al-Masna'ah village killed two civilians, according to a report issued by Radhya Al-Mutawakel and Abdulrasheed Al-Faqih and Open Societies Foundations. On 21 September 2014, during the Houthi insurgency, the Houthis seized control of Sanaʽa. On 12 June 2015, Saudi-led airstrikes targeting Shiite rebels and their allies in Yemen destroyed historic houses in the center of the capital. A UNESCO World Heritage site was severely damaged. On 8 October 2016, Saudi-led airstrikes targeted a hall in Sanaʽa where a funeral was taking place. 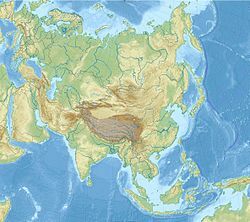 At least 140 people were killed and about 600 were wounded. After initially denying it was behind the attack, the Coalition's Joint Incidents Assessment Team admitted that it had bombed the hall but claimed that this attack had been a mistake caused by bad information. On May 2017, according to the International Committee of the Red Cross an outbreak of cholera killed 115 people and left 8,500 ill. In late 2017, another Battle of Sanaʽa broke out between the Houthis and forces loyal to former President Saleh, who was killed. 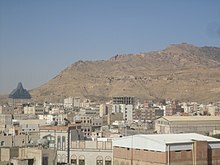 Jabal Nuqm (Arabic: جَبَل نُقْم‎) or Jabal Nuqum (Arabic: جَبَل نُقُم‎) of the Yemeni Sarawat in the area of Sana'a. Local legend has it that after the death of Noah, his son Shem built the city at the base of this mountain. Generally, Sanaʽa is divided into two parts: the Old City District ("al-Qadeemah") and the new city ("al-Jadid.") The former is much smaller and retains the city's ancient heritage and mercantile way-of-living while the latter is an urban sprawl with many suburbs and modern buildings. The newer parts of the city were largely developed in the 1960s and onward when Sanaʽa was chosen as the republican capital. Sanaʽa features the very rare mild version of a semi-arid climate (Köppen: BSh). Sanaʽa sees on average 265 mm (10.43 in) of precipitation per year. However, due to its high elevation, temperatures are much more moderate than many other cities on the Arabian Peninsula; average temperatures remain relatively constant throughout the year in Sanaʽa, with its coldest month being January and its warmest month July. Even considering this, as a result of its lower latitude and higher elevation, UV radiation from the sun is much stronger than in the hotter climates farther north on the Arab peninsula. The city seldom experiences extreme heat or cold. However, some areas around the city can see temperatures fall to around −9 °C (16 °F) or −7 °C (19 °F) during winter. Frost usually occurs in the early winter mornings, and there is a slight wind chill in the city at elevated areas that causes the cold mornings to be bitter, including low humidity. The sun warms the city to the high 15–20 °C (59–68 °F) and low 21–26 °C (70–79 °F) during the noontime but it drops drastically as night falls in. The city experiences many microclimates from district to district because of its location in the Sanaʽa basin and uneven elevations throughout the city. Summers are warm and can cool rapidly at night, especially after rainfall. Sanaʽa receives half of its annual rainfall during the months of July and August. Rainfall amounts vary from year to year; some years could see 500–600 mm (20–24 inches) of rainfall, while others can barely get 150 mm (5.9 inches). High temperatures have increased slightly during the summer over the past few years, however, low temperatures and winter temperatures have dramatically fallen over the same period. The Old City of Sanaʽa (Arabic: مَدِيْنَة صَنْعَاء ٱلْقَدِيْمَة‎, translit. Madīnat Ṣanʿāʾ Al-Qadīmah) is recognised as a UNESCO World Heritage Site. The old fortified city has been inhabited for more than 2,500 years and contains many intact architectural gems. It was declared a World Heritage Site by the United Nations in 1986. Efforts are underway to preserve some of the oldest buildings some of which, such as the Samsarh and the Great Mosque of Sanaʽa, are more than 1,400 years old. Surrounded by ancient clay walls which stand 9–14 metres (30–46 ft) high, the Old City contains more than 100 mosques, 12 hammams (baths) and 6,500 houses. Many of the houses resemble ancient skyscrapers, reaching several stories high and topped with flat roofs. They are decorated with elaborate friezes and intricately carved frames and stained-glass windows. One of the most popular attractions is Suq al-Milh (Salt Market), where it is possible to buy salt along with bread, spices, raisins, cotton, copper, pottery, silverware, and antiques. The 7th-century Jāmiʿ al-Kabīr (the Great Mosque) is one of the oldest mosques in the world. The Bāb al-Yaman ("Gate of the Yemen") is an iconized entry point through the city walls and is more than 1,000 years old. A commercial area of the Old City is known as Al Madina where development is proceeding rapidly. In addition to three large hotels, there are numerous stores and restaurants. The area also contains three parks and the President's palace. The National Museum of Yemen is located here. Football (soccer) is the most popular sport in Sanaʽa. The city is home to the Ali Muhesen Stadium, home of the Yemen national football team, and is mostly used for football matches. The stadium holds 25,000 people. The city's population growth soared from the 1960s onward as a result of mass rural migration to the city in search of employment and improved standard of living. Sanaʽa is the fastest growing capital city in the world with a growth rate of 7%, while the growth rate of the nation as a whole is 3.2%. About 10% of the population resides in the Old City, while the remainder live in the outside districts. Jews have been present in Yemen since the 5th century BCE and form one of the most historic Jewish diasporas. In Sanaʽa, Jews had initially settled within the enclosed citadel, known as al-Qaṣr, near the ruins of the old tower known as Ghumdan Palace, but were evicted from there in the late 6th century by the ruling monarch, and moved to a different section of the city, known as al-Marbaki (also called the Falayhi Quarter). From there, they again uprooted and were made to settle in the section of the city known as al-Quzali, and eventually moved from there and settled in the neighborhood of al-Sa'ilah. In 1679, during the Mawza Exile, they were once again evicted from their place of residence. Upon returning to the city in 1680, they were given a plot of land outside of the city walls, where they built the new Jewish Quarter, al-Qāʻ (now Qāʻ al-ʻUlufi), and where they remained until the community's demise in the mid-20th century. After the creation of the political State of Israel in 1948, about 49,000 (of an estimated 51,000) of Yemenite Jews were airlifted to Israel, almost 10,000 of whom were from Sanaʽa (see the English-language book Jews and Muslims in lower Yemen: a study in protection and restraint, 1918–1949). There was essentially no Jewish population in Sanaʽa until the Shia insurgency broke out in northern Yemen in 2004. The Houthis directly threatened the Jewish community in 2007, prompting the government of President Saleh to offer them refuge in Sanaʽa. As of 2010[update], there were around 700 Jews living in the capital under government protection. Historically, Sanaʽa had a mining industry. The hills around Sanaʽa were mined for onyx, chalcedony, and cornelian. The city was also known for its metalwork, which the British described as "famous" in the early 20th century, but declining in popularity. As of 1920, Sanaʽa was described by the British as being "well supplied with fruit and grapes, and has good water." As the capital city of Yemen, 40% of jobs in Sanaʽa are in the public sector. Other primary sources of formal employment in the city are trade and industry. Like many other cities in the developing world, Sanaʽa has a large informal sector which is estimated to constitute 32% of nongovernmental employment. However, while there is a greater variety of jobs in Sanaʽa as compared to other cities in Yemen, there is also greater poverty and unemployment. It is estimated that 25% of the labor force in Sanaʽa is unemployed. Yemenia, the national airline of Yemen, has its head office in Sanaʽa. Sanaʽa International Airport is Yemen's main domestic and international airport. A primary means of transport in the city is via dababs, minibuses which carry about 10 people. Taxis are also a common form of public transport and there are coaches to major cities such as Aden and Taiz. Sanaʽa manuscript – fragments from over 1,000 early Quranic codices, discovered at the Great Mosque in Sanaʽa in 1972. ^ "Yemen's embattled president declares southern base temporary capital". DPA International. 21 March 2015. Archived from the original on 11 July 2015. Retrieved 21 March 2015. ^ "Yemen's President Hadi declares new 'temporary capital'". Deutsche Welle. 21 March 2015. Retrieved 21 March 2015. ^ a b c McLaughlin, Daniel (2008). "3: Sanaʽa". Yemen. Bradt Travel Guides. p. 67. ISBN 978-1-8416-2212-5. ^ Young, T. Luke. "Conservation of the Old Walled City of Sanaʽa Republic of Yemen". MIT. ^ Anna Hestler; Jo-Ann Spilling (1 January 2010). Yemen. Marshall Cavendish. p. 16. ISBN 978-0-7614-4850-1. Retrieved 23 November 2010. ^ Minaret Building and Apprenticeship in Yemen, by Trevor Marchand, Routledge (April 27, 2001), p.1. ^ a b Aithe, p.30. Chisholm, Hugh, ed. (1911). "Sana" . Encyclopædia Britannica. 24 (11th ed.). Cambridge University Press. pp. 125–126. ^ a b McLaughlin, p.16. ^ a b c d e Bosworth, p.463. ^ a b c d Dumper, p.330. ^ a b c d e f g Dumper, p.331. ^ a b c d e f Ring and Salkin, p.631. ^ "Death by Drone report" (PDF). ^ Gubash, Charlene; Smith, Alexander (12 June 2015). "UNESCO Condemns Saudi-Led Airstrike on Yemen's Sanaa Old City". NBC News. Retrieved 12 June 2015. ^ "Saudi-led coalition admits to bombing Yemen funeral". The Guardian. 15 October 2016. ^ "Houthis declares state of emergency in Sanaa over cholera outbreak". Al Arabiya. 14 May 2017. Retrieved 15 May 2017. ^ a b c McLaughlin, Daniel (2008). "1: Background". Yemen. Bradt Travel Guides. p. 3. ISBN 978-1-8416-2212-5. ^ a b "Climate: Sanaa - Climate graph, Temperature graph, Climate table". Climate-Data.org. Retrieved 23 February 2014. ^ "Sana Climate and Weather Averages, Yemen". Weather2Travel. Retrieved 23 February 2014. ^ "Sanaa, Yemen". Climatebase.ru. Retrieved 23 February 2014. ^ "Sanaa, Yemen". Voodoo Skies. Retrieved 23 February 2014. ^ Statesman's Year Book, 1922, p.1367. ^ "Sanaʽa running out of water with no plan to save it". The Global Urbanist. Retrieved 23 March 2010. ^ "At a glance: Yemen – Statistics". UNICEF. ^ Jacob Saphir, in his ethnographic work Iben Safir (vol. 1 – ch. 43), Lyck 1866, p. 99 – folio A (Hebrew), states that the Jews of Yemen have a tradition that there settlement in Yemen began 42 years before the destruction of the First Temple. Bear in mind here that the Jewish year for the destruction of the First Temple is traditionally given in Jewish computation as 3338 AM or 421/2 BCE. This differs from the modern scientific year, which is usually expressed using the Proleptic Julian calendar as 587 BCE. ^ Persecuted Yemeni Jews to be given sanctuary in Britain, The Independent, 14 April 2010. ^ Prothero, G.W. (1920). Arabia. London: H.M. Stationery Office. p. 98. ^ Prothero, G.W. (1920). Arabia. London: H.M. Stationery Office. p. 99. ^ Prothero, G.W. (1920). Arabia. London: H.M. Stationery Office. p. 103. ^ "Sanaʽa, A City Development Strategy". The Cities Alliance. 2006. ^ "Yemenia Archived 26 November 2009 at the Wayback Machine." Arab Air Carriers Organization. Retrieved 26 October 2009. Wikimedia Commons has media related to Sana'a. Wikivoyage has a travel guide for Sana'a. ArchNet.org. "Sanaʽa". Cambridge, Massachusetts, USA: MIT School of Architecture and Planning. Archived from the original on 5 November 2013. "Sana" . New International Encyclopedia. 1905.